Get out your scorecards: Two more TV shows have officially been flunked out of the Fall '12 class. So first, CBS's "Made in Jersey" and NBC's "Animal Practice" were given the heave-ho, and ABC made it clear it was done with "Private Practice," the "Grey's Anatomy" spin-off, back in October. USA dumped buddy cop show "Common Law," and lawyer drama "Fairly Legal," just in time for Halloween,while MTV canned old hand "America's Best Dance Crew" last week. Oh, and "Next Caller," NBC's vehicle for comic Dane Cook, was canceled before it ever aired. 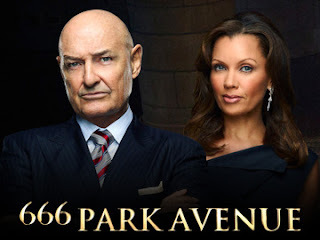 Yesterday, the axes came out again, with CBS yanking "Partners," a freshman sitcom about two best friends, one gay and one straight, and their respective partners, and ABC offing "666 Park Avenue," the spooky drama that featured Terry O'Quinn of "Lost" fame and Vanessa Williams, the former Miss America who lit up "Ugly Betty" and "Desperate Housewives," as well as "Last Resort," the military thriller starring Andre Braugher as the commander of a rogue nuclear sub. Yes, that leaves "Mob Doctor" and "The Neighbors," the two shows everybody thought would be the first to fall, still on the schedule. And "The Neighbors," along with "Arrow," "Beauty and the Beast," "Ben and Kate," "Chicago Fire," "Elementary," "Go On," "Nashville," "Revolution," "The Mindy Project," "The New Normal," and "Vegas" were all given full-season pick-ups, meaning the networks ordered more episodes of each, enough for a full season. Nothing has happened yet with "Mob Doctor," however. It's avoided being the first to go, or even the fifth to go. Who'd a thunk it? Meanwhile, "Guys with Kids," a sitcom about wacky dads on NBC, will get only four more episodes, for a total of 17, which is sort of a good-news/bad-news situation. Yes, we like you well enough to order more episodes, but not well enough to go the whole nine yards. Or the whole 22 episodes. Which probably means "Guys with Kids" will ride off into the sunset well before we get to the end of the season. Rumor has it that the retooled "Up All Night" will saddle up and ride off with it. Stay tuned... The cancellation/renewal game is often more dramatic than the shows themselves. 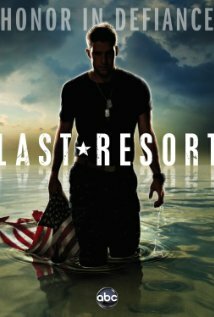 I'd heard about two of the latest cancellations, but it took this blog to tell me about "Last Resort." It seemed to get a lot of critical love initially, but I found myself forgetting it existed after the NBC Thursday comedy lineup started; maybe others did the same. I will confess, now that it's gone, that I kind of will miss "Partners." I enjoyed seeing the 3 men (the other lead was generic-pretty-girl as far as I could see), I enjoyed seeing a stable gay couple on the air, I guess it's as shallow as that. And I kept hoping it would jell over time, as some comedy series have, and find its voice. But it was honestly pretty bad week after week (and the writing for Michael Urie made his character loathsome beyond anything they seemed to acknowledge), so I can't regret its demise. When "Up All Night" started, a year ago, it had its appeal for the part of it that was a closeup look at new parents' daily life, and Christina Applegate & Will Arnett were charmingly believable as such a couple, which meant gratifying brand-new TV personas for both of them... but all of that is long gone now. So I can't regret its probable departure. I rather like "Go On," but its success, along with "New Girl"'s popularity in the same timeslot, makes things tough for my beloved "Happy Endings" at that same time. I'd been hoping ABC would move it back to Wednesday as soon as "Neighbors" tanked, but I guess that ain't gonna happen. What is up with the success of "Neighbors" anyway? What does anybody get out of it? Has the world been waiting for the next "Mr. Ed" or "My Favorite Martian" or "ALF" (our protagonists are in on a secret that nobody else notices)? It beats me. Neighbors is simply appalling. I have no clue why it's succeeded. But then, I feel the same way about 2 Cheap Girls or whatever that piece of drek is and the execrable Whitney and a whole bunch of other things that apparently appeal to someone. I like Modern Family, Happy Endings and Once Upon a Time out of the ABC lineup. Okay, I admit I watch Nashville, but just for Chip Esten and some of the music. I thought I hated ABC (I'm still bitter over how they treated their soaps) but I seem to be watching a ton of their shows. BOOOO, MEEEEE! On NBC, Go On is cute, but I keep forgetting when it's on, so I can't say I've seen more than a few episodes. I do love Parks and Recreation, though. And I watch Project Runway, which is pretty dreadful right now, too. I think that's it for my TV viewing. I am such an outlier to my demographic, which is probably all about that child beauty queen and Dancing with the Stars. Just say no to beauty pageants or D-listers dancing! Just say no to Neighbors, any show with Girls in the title, and any show with "mob" or "doctor" anywhere near it.